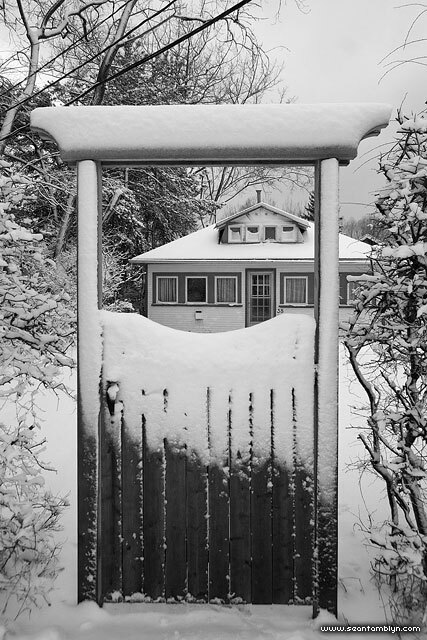 Snow blankets the gate in front of 38 Lakeshore during the winter of 2008. This entry was posted on Sunday, July 10th, 2011 at 4:33 pm. It is filed under Once There Was Winter Part II, Structures and tagged with Canon EF-S 10-22mm f/3.5-4.5, Canon EOS 20D. You can follow any responses to this entry through the RSS 2.0 feed.